I first encountered the baobab tree when reading The Little Prince in school. I assumed that the pesky plant with the funny name* on the volcanic asteroid was fictional, so I was surprised to learn later that it was a real tree on planet Earth. I can be forgiven for thinking that the baobab was made-up, though, because a) the name, and b) have you seen one? It actually looks like it’s from an alien world. I find it ironic that the tree is native to subtropical Madagascar†, because it doesn’t provide much shade from the sun, unless you stand in the shadow of its massive trunk. It does, however, provide a fruit that’s been gaining buzz recently as a superfood. While I believe eating a balanced diet is more important than fixating on so-called “super” foods, I also believe that vitamin supplements should come from whole food sources. The powdered fruit of the baobab tree is high in vitamin C, a potent antioxidant that promotes skin elasticity, strong bones, and vascular health by helping the body build and maintain connective tissue. Plus, no scurvy! Baobab fruit is also a good source of copper, iron, potassium, zinc, and fiber. 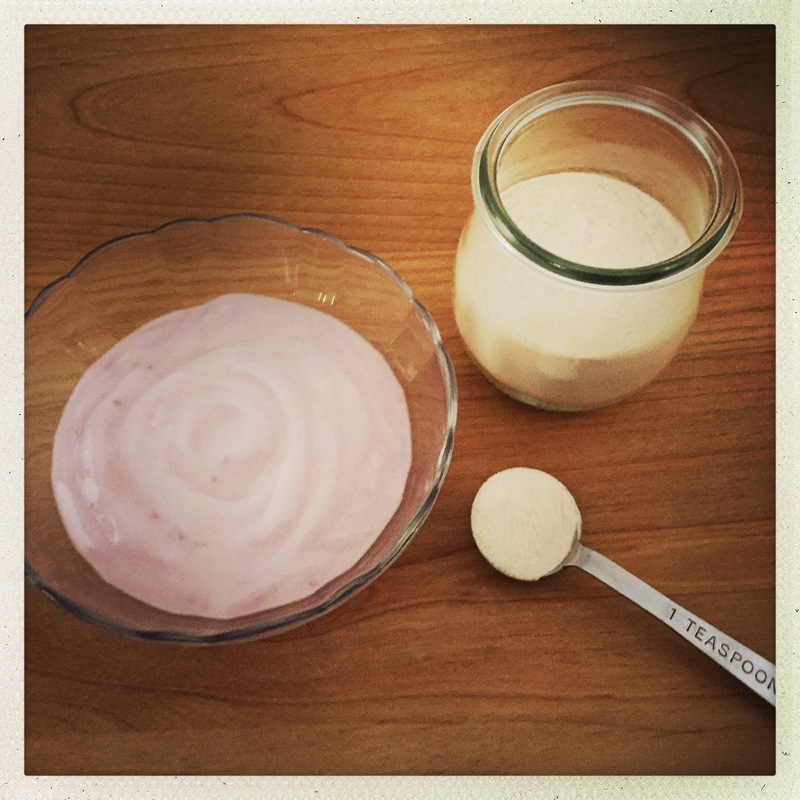 The powder is tart and slightly sweet, so it mixes well in yogurt (I prefer the coconut milk yogurt alternative from So Delicious) and can be dissolved in warm or hot water with a little honey for a refreshingly sweet-and-sour sip. 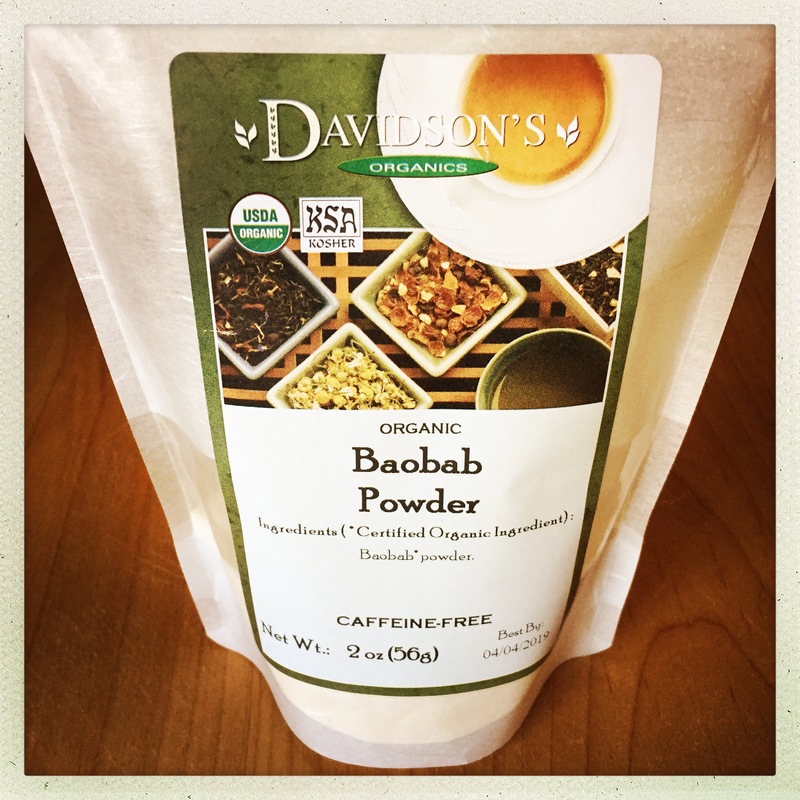 I discovered Davidson’s Baobab Powder while visiting their website to order more of my favorite rose tea, but there are other companies that sell organic baobab powder, including Baobest and Organic Burst. *In my search for the proper pronunciation of baobab, I’ve come across equal instances of bow-bab (as in “take a bow”) and bay-o-bab. Since I’ve always pronounced it as bow-bab, I’m sticking with that. †In fairness, only six of the nine species of baobab trees are native to Madagascar, and only one—Adansonia grandidieri—has that distinctive, otherworldly look. ‡Standard disclaimer: These statements have not been evaluated by the Food and Drug Administration. This post is not intended to diagnose, treat, cure, or prevent any disease.